Boxing up computer equipment that is heading to Iroquois Falls Library! We are celebrating Victoria Day tonight by boxing up computer equipment that city councillor Betty Lou Purdon (Mother of Veteran of Afghanistan and Kuwait) from Iroquois Falls will be coming to pickup up in the morning and taking back home. 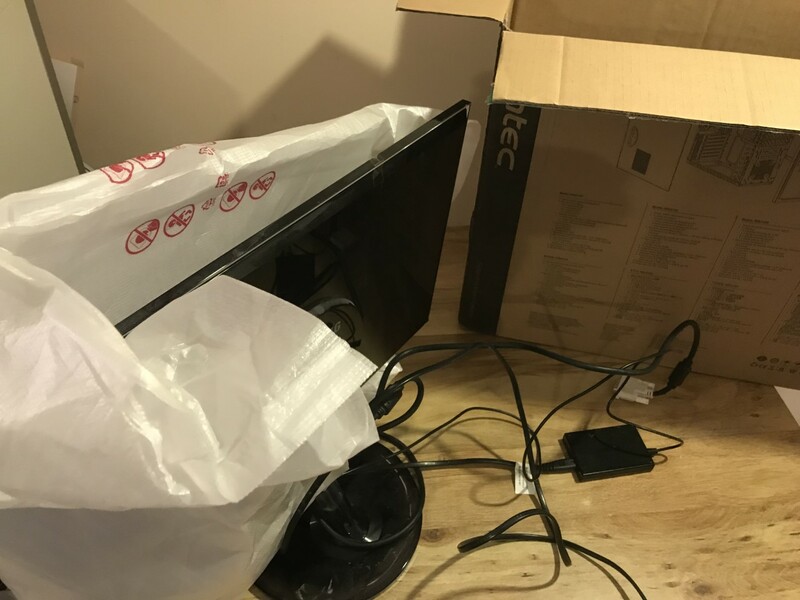 Monitors, Mice, and Keyboards will all find a new home and be put to good use by the residents of Iroquois Falls, Ontario. Further donations will be ready for her next visit as well!